Traveling by plane is one of the safest and fastest ways to get to your destination. But crowded airports, long waits at security checkpoints and baggage restrictions can make flying challenging when you have a disability. According to the Bureau of Transportation Statistics (BTS), 25.5 million Americans, age 5 and older, have self-reported travel-limiting disabilities. Unfortunately, information on how to travel with a disability can be hard to find. To help streamline this information, here’s an in-depth guide to help you better navigate airports and flights while traveling with a disability. This guide also includes many tips and tricks to make flying a more enjoyable process. Figuring out what the laws are and how they relate to your travel experience will help you plan, pack, and feel confident before your trip. Knowing what you’re entitled to and not being afraid to ask for what you’re entitled to will make the entire flight process less stressful. With the help of legislation and strong advocacy, airlines and airports are making flying more accessible for travelers with disabilities. Don’t be afraid to stand up for yourself. You deserve a pleasant flying experience, and there are certain accommodations that you are entitled to, especially when it comes to ensuring your medical safety during a flight. It is important to note that while most airports and U.S. facilities have accommodations available, you will probably have to ask for them. While the ADA doesn’t extend to airline passengers, it does means that those with disabilities have the right to certain accommodations such as interpreters and TTY technology that make it safer to organize their travel. Passengers with disabilities are entitled to certain accommodations, free of charge, under the Air Carrier Access Act (ACAA). The ACAA states that all domestic and international flights that have the U.S. as the destination or origination point are required to provide necessary accommodations to people with disabilities to ensure safe travel. The Department of Transportation is responsible for enforcing the ACAA. Here is a link to the DOT’s Guide. The DOT’s guide includes videos and other digital content for best practices for airline personnel and the traveling public. Some of the topics include air travel with assistive devices as well as wheelchairs, service animals, and seating accommodations. If you feel discriminated against on the basis of your disability, you can file a complaint directly with DOT by calling 202-366-4000 or via the Federal Relay. Unfortunately, there are complaints that are reported by those traveling with a disability. While there is definitely not a “one size meets all” solution, knowing some of the common problems other travelers have experienced can help you be better prepared if a similar situation arises. In the most recently-released DOT statistics for 2016, airlines reported 32,445 disability-related complaints, which was a 5% increase from 2015. Nearly half of the complaints reported related to the failure to provide adequate assistance to travelers using wheelchairs. An additional 338 complaints were related to “storage and delay” of a passenger’s wheelchair. Damaged wheelchairs is also another common problem. While airlines are responsible for all repairs to a damaged wheelchair and providing you with a replacement, this process can be lengthy. A replacement must be provided in the meantime, but may not be up to the standards of your damaged wheelchair. As of December 4, 2018, airlines are required to report separate statistics for mishandled wheelchairs and mobility scooters. Now that the “wheelchair rule” is finally in effect, the information will be published in DOT’s monthly Air Travel Consumer Reports, starting with its February report. Another frequently reported concern are issues with bathroom accommodations on airplanes. Current airline standards require 20-inch wide aisles for all single-aisle planes. Especially if you don’t have access to your wheelchair onboard, getting to the restrooms may be difficult. Making things even more complicated, there has been an increased move to single-aisle planes being used for long flights, such as the transcontinental American Airlines 737 MAX 8. Passengers with service animals have to experience an additional layer of complexity, especially since the recent backlash against emotional support animals. Many airline employees do not realize that service animals and emotional support animals are not the same things and there have been occasional reports of passengers with service animals being denied boarding. Discussing a problem with the CRO is the best way to resolve issues, but keep in mind that the pilot has the final say when it comes to issues of passenger safety. Asking the CRO to confirm his or her decision with the pilot can add another layer of protection for you. Lastly, you can also call the DOT Aviation Consumer Protection Division’s Disability Hotline at 1-800-778-4838. For a full list of recommendations, please see DOT’s website. Choosing the right airline and flight is the first step. Ensuring that you select an airline with the best customer service reputation is important. Don’t forget to factor in any frequent flyer status you may have, airport layouts, flight lengths, and flight connections when you are looking at flight options as well. Hot Tip: If you do have to make a connection, allow at least 90 minutes between connecting flights in order to ensure enough time to transfer between gates. No matter which airline you select, always be sure to select the box for assistance when booking. This will help with seating and check-in processes later on. Not every airline offers the same accommodation. Below, you’ll find some major highlights for airlines regarding what the airline is able to provide to passengers with disabilities. If you have reservations or are considering making reservations soon, please look into the airline specific policies and procedures. Alaska Airlines staff does everything they can to assist those traveling with a disability. To ensure you have everything you need, try to make reservations as early as possible. Any special services can be requested online or over Alaska’s accessible services phone line at 1-800-503-0101. Additionally, let the airline know of any special requirements at check-in, in the boarding area, and on the aircraft to ensure staff is able to assist you. Lastly, arrive at the airport at least 2 hours before departure to allow ample time to board comfortably. For a complete listing of Alaska Airlines’ disability policies, please see their website here. If you are traveling with Allegiant and have a disability or need accommodations, be sure to mention it when booking a reservation online or over the phone. You can also contact the reservation center by phone at 702-505-8888 and request assistance be added to your reservation. There is no fee to travel with required medical or assistive devices such as walkers, canes, or strollers, and these items do not count towards your number of allowed carry-on items. If you have to check your assistive devices, this will be done for free as well. For a complete listing of Allegiant’s disability policies, please see their website here. Indicate that you’re traveling with any electric medical equipment or a service animal. Notice is required within 48 hours of your flight. In addition, you can call 800-433-7300 or, for hearing or speech impaired assistance, call 800-543-1586. For a complete listing of American’s disability policies, please see their website here. When making reservations online, Delta has the ability to request accommodations through your “My Trips” section. In addition, they can be contacted via a TTY-accessible phone line at 404-209-3434. Depending on the type and age of the aircraft, accessible features of Delta’s fleet include movable aisle armrests, wheelchair stowage locations, onboard wheelchairs, and, on larger airplanes, wheelchair-accessible lavatories. For a complete listing of Delta’s disability policies, please see their website here. When flying Frontier, notify a customer service representative online or via phone at 801-401-9004 if you need any accommodation. It should be noted that if you’re traveling with a wheelchair or mobility device, it can be checked and doesn’t count toward your baggage allowance. You can also request to store the device on board when you make your reservation. Frontier’s customer service representatives will also make sure that passengers with a disability have the opportunity to board before general boarding. For a complete listing of Frontier’s disability policies, please see their website here. If you’re flying on Hawaiian, let the airline know in advance about any assistance you’ll need either online or by calling their Reservations Department at 1-800-367-5320. Hawaiian Airlines can assign your seat at least 24 hours prior to your scheduled flight if you require assistance with a boarding chair to get to and from your seat, if you’re traveling with a personal care attendant, or if you’re traveling with a service animal. If you need extra time exiting the aircraft, a wheelchair at your destination or transfer point, assistance in deplaning the aircraft, or assistance through the terminal, the airline requests that you notify a flight attendant at least 45 minutes before landing so they have time to make the necessary arrangements. For a complete listing of Hawaiian’s disability policies, please see their website here. When flying JetBlue, contact the airline at 1-800-JETBLUE to add any accommodation you might need to an existing reservation. JetBlue encourages passengers to notify them as early as possible of any accommodation so they can ensure you have an enjoyable flight. JetBlue consistently gets good marks for accommodating those with wheelchairs. But note that JetBlue doesn’t offer curbside service at most of their airport locations so if you need help getting into or leaving the airport, make a request with a JetBlue staff member before you arrive or inside the terminal so they can provide the curbside assistance needed. For a complete listing of JetBlue’s disability policies, please see their website here. If you’re flying with Southwest and need assistance, it’s best to inform the airline in advance, or as soon as you arrive at the airport so your requests can be fulfilled as quickly as possible. You can notify Southwest online or by calling 1-800-I-FLY-SWA. Priority preboarding is available for those who have specific seating needs to accommodate their disability, who need assistance in boarding the aircraft, or who need assistance stowing any devices. This assistance can be requested from the customer service agent at the departure gate. For a complete listing of Southwest’s disability policies, please see their website here. For Spirit, depending on what kind of assistance you need, you can request it when making a reservation online or through the Spirit Airlines reservations line at 801-401-2222. While Spirit generally charges for carry-on luggage, customers can take wheelchairs, walkers, canes, crutches, or assistive devices onboard for free. For a complete listing of Spirit’s disability policies, please see their website here. When booking with United, any accommodations should be mentioned when booking so the airline staff can do their best to help you. This includes any assistance getting to your gate, boarding, getting to your seat, deplaning, or connecting. In addition, make sure to call the airline’s disability desk at 800-228-2744 at least 48 hours in advance of your travel so the airline can ensure your needs are met. Hot Tip: Certain seats on the aircraft are made available to passengers with a disability, but the request needs to be made at least 24 hours in advance of your flight. You can check your wheelchair or other devices at the ticket counter or gate as well. For a complete listing of United’s disability policies, please see their website here. If your airline isn’t listed, contact the airlines you are considering, and make an informed decision as to which airline is right for you. Ensuring that accommodations can and will be made prior to your flight will relieve some anxiety and set you up for an enjoyable trip. Hot Tip: If you book your tickets on a third-party site (like Expedia, Priceline, Hotels.com etc. ), there may not be an option to select assistance. If this is the case, be sure to contact the airline directly to request assistance. Your doctor should be able to discuss possible complications, health concerns, and any medications/vaccinations you may need before traveling. It may also help to consider obtaining a statement from your doctor detailing any medical issues or accommodations. A written letter may also be helpful for getting through TSA with any medications and/or medical devices. Whether your airline allows you to select a seat prior to arrival or you are allowed to board first, there are a few things to consider when selecting your seat. If the flight is longer, selecting the aisle versus window seat may be a difficult choice. If you select an aisle seat, you will be able to access the bathrooms easier; however, other passengers may require you to move so that they can also access the bathroom as well. Hot Tip: Selecting a window seat, bulkhead seat, or the first row in any section may be the best bet. In addition, look at the configuration of the specific airplane you will be flying and familiarizing yourself with the layout in order to pick the best seat for you. Resources like Seat Guru are great for seeing photos of the aircraft prior to boarding, which can help you prepare before you are even onboard. Select the seat that works best for you and your preferences. Under the Air Carrier Access Act (ACAA) and DOT’s disability policies, passengers are generally not required to provide advanced notice for disability-related accommodations. However, it’s a good idea to call your airline in advance to arrange for accommodations. In addition to confirming with your airline, don’t forget to contact the hotels you are staying at so they are prepared for your arrival as well. Necessary medical equipment, such as a wheelchair, CPAP machine, or diabetes monitoring equipment, doesn’t count toward your carry-on items. Make sure to keep important documents such as your flight plan, doctor’s note, emergency contacts, and any necessary medical information easily accessible in your carry-on. Pack medical alert information, and keep it with you. In the case of an emergency, this information can be a literal life-saver. Don’t forget about transportation to and from the airport. Get to the airport early; 2 to 3 hours early for domestic flights, and even earlier for international flights. If you have a wheelchair, make arrangements in advance to have an accessible vehicle take you to the airport and pick you up in your destination city. 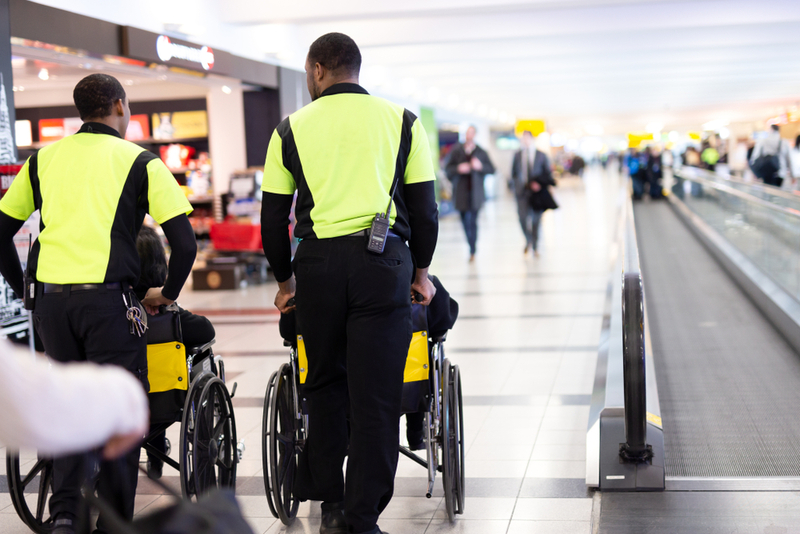 If you have made prior arrangements, many airlines will designate an employee to meet you curbside when you arrive or at check-in with a wheelchair, if you need one, and guide you through security. If not, a good first stop would be at your airline’s ticket counter. Here you can make or confirm that all accommodations can be met. This is also where you may be assigned designated personnel to help you get through security. If you have any medical devices that you will not need at the airport, here is where you will check them in. These should be checked free of charge. At a high-level, TSA notes that you should consider completing and submitting a TSA notification card or other medical documentation to describe your condition. TSA does not require passengers to remove their shoes if they have disabilities and medical conditions. TSA PreCheck can help make sure going through security is as easy as possible. Those with TSA PreCheck memberships have shorter waiting times and aren’t required to remove shoes, laptops, liquids, belts, or light jackets when they go through security. If you are not a TSA PreCheck member, make sure that you are wearing easily removable shoes, belts, and jackets. Also, make sure that you can easily take out any liquids and electronics from your carry-on to go through the X-ray machine. Don’t hesitate to request help from TSA if you need. Here are some other tips for getting through the TSA security checkpoint. TSA has its own set of guidelines for special procedures that you may find worthwhile to read through as well. Airlines are required to allow service animals to fly with their partners in the cabin of the aircraft free of charge. Any equipment required for your service animal is also permitted to be flown in the cargo hold as medical equipment, also free of charge. If you have a service animal, including emotional support animals, make sure you have the proper documentation from your doctor that qualifies the animal as a service animal. Also, make sure you contact the airline and inform the airline staff that you will be traveling with a service animal so they can be prepared on the day of your flight. Hot Tip: Here is a great guide on the Pet-Friendliest airports that includes information about service animals as well as emotional support animals. When it comes time to get to your gate, arrange any necessary assistance with your airline. If you choose to head directly to your gate, the agent should check you in with the gate agent. This way, you can get any necessary preboarding information. In addition, some airlines have a tag that is placed on wheelchairs or other medical equipment to let the ground staff know to bring the wheelchair to the gate once landed. 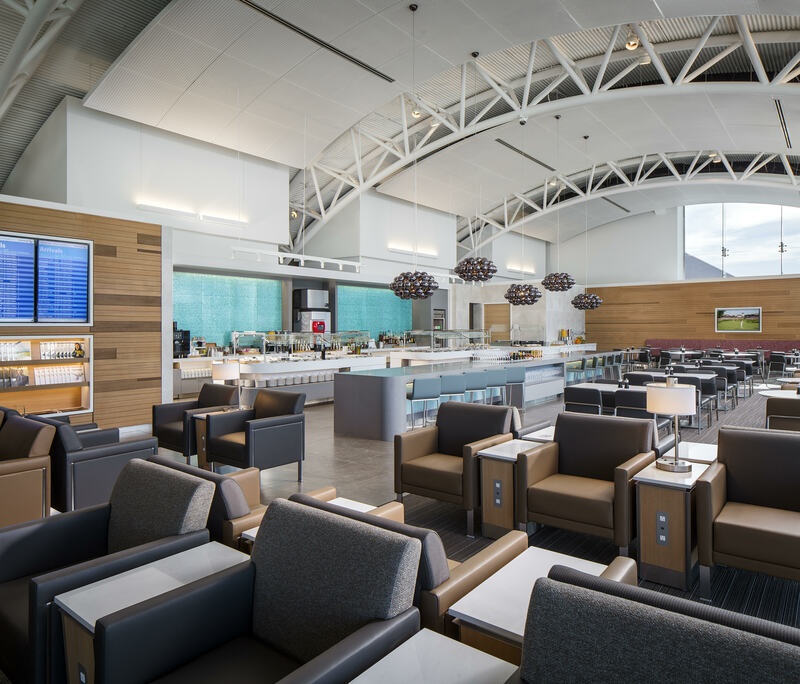 Hot Tip: If you are a rewards member or cardholder who receives special access to lounges, don’t hesitate to use those perks. 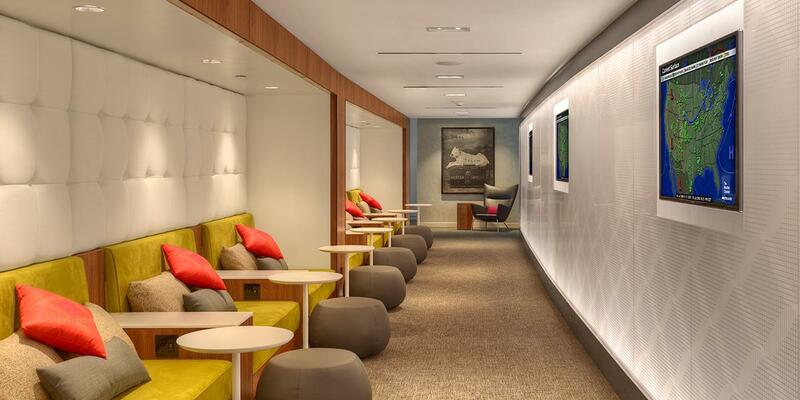 These lounges help make travel less stressful. Be sure you check in with your gate agent prior to your flight. Preboarding and other boarding accommodations can be arranged or confirmed at this point. Preboarding allows you more time to get settled onboard the plane. In addition, for those airlines without assigned seats, you will also get your pick of seating options. Properly trained staff must be available to help people with disabilities board and exit the plane. While they have been trained on how to accommodate you, communication is key. For example, if there are any areas on your body that are painful to the touch, be sure to inform them. Cory Lee from Curb Free with Cory Lee notes “actually getting on the plane is the number one thing that wheelchair users worry about.” Cory has an ebook as well with more information about air travel for wheelchair users. An aisle chair can be used to transport immobile passengers from their own wheelchair to a seat on the airplane and can also be used to access the lavatory during the flight. This is the most common transfer device, but may not be available on all aircrafts. If this option is not available, two other options are Eagle Lifters and ADAPTS slings. Eagle Lifters and ADAPTS slings are designed to safely transfer passengers requiring full assistance to and from wheelchairs and aircraft seats. Transfer to the sling and sling placement will be performed inside an empty air-bridge or similar private area. Staff members use the sling to negotiate the aircraft aisle, straddle the aircraft seat, and lower the passenger into the seat. Airlines are not permitted to hand-carry passengers on and off aircraft. This means staff members can’t directly pick up a passenger in the arms of airline personnel. However, you may choose to bring a companion who is able to lift you and transfer you from your wheelchair to your seat. Once onboard, an individual with a disability cannot be required to sit in a particular seat or be excluded from any seat, except as provided by FAA safety rules, such as the FAA Exit Row Seating rule. If you are bringing a service animal onboard, they must be able to fit without blocking aisles, exits, or another passenger’s seat. According to the ACAA, every U.S. airline that seats more than 60 passengers must be equipped with an accessible bathroom or an aisle wheelchair to help you reach the bathroom if the bathroom is not accessible. If possible, request or select an aisle seat close to the bathroom. There are some limitations to the help you can be provided on a flight. Flight attendants can help guide disabled passengers to and from the bathroom, but cannot provide any other type of assistance in the lavatory. Some airlines have a limit for lithium wheelchair batteries of a maximum of 300 watt-hours, and that the batteries need to be disconnected and brought in the cabin with the passenger. It is always important to review the specific policies for each airline you are traveling with as several foreign airlines do not allow wheelchair users to travel alone. In addition to the items noted above, airline crew members can help passengers with disabilities identity food items and open packages, but cannot actually feed passengers. If you need more assistance than can be provided by flight attendants, consider traveling with a companion who is able to better assist you. Use your own wheelchair or mobility equipment, and check it at the gate. While airlines may be able to provide you with one for use at the airport, using your own equipment can eliminate wasted time and stress from switching back and forth. Carry a cane. The will come in handy if you do end up needing it while navigating a crowded airport that you’ve never been in, but it will also help TSA and other travelers understand that you are visually impaired. Use a tool such as a luggage locator to help you find your bag with an audible sound. Download an audible GPS app for your trip. Set up text alerts on your phone. Most airlines utilize the overhead speakers in an airport for last-minute updates and changes. Bring along a medical note to provide to TSA or anywhere else you may need accommodations. Carry a notepad and a pen for emergencies. Talk to your doctor about medications that can help with a long flight. If you are sensitive to noise or light, bring noise-canceling headphones and a sleeping mask to help block noise or light out. Pack weighted blankets on your carry-on. Download your favorite calming music to play. For longer flights, bring a tablet that has activities downloaded to help keep you calm and engaged. Also, make sure you have a charger or portable USB charger so that your device’s battery doesn’t die. Having prearranged transportation is always a good way to make sure that you are taken care of at your destination. Having written translations of your disability or what accommodations you may need abroad could help your destination ensure that you have everything you need for a safe trip. Know your medical coverage in case of an emergency. Whether you have a disability, temporary or otherwise, or you’re traveling with someone with a disability, the challenges remain the same. There is no one solution, but accessible travel is more possible than ever with proper planning and the other great tips mentioned above. Be prepared, know your rights, and communication are all key when ensuring you enjoy your journey.